Geoff and Marion Williams welcome you to Calico House for luxury bed and breakfast in Coldstream the first "true border toon", on the banks of the famous River Tweed. Ideally positioned close to Kelso, Berwick upon Tweed and within easy travelling distance to Edinburgh, Calico House provides the finest accommodation ranging from luxury B&B to a self-catering apartment. 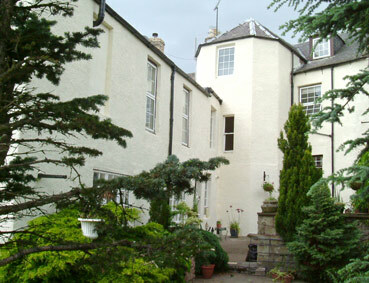 Situated only 15 minutes from Kelso and 60 minutes from Edinburgh or Newcastle upon Tyne by car. 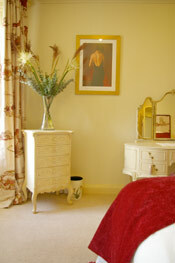 In the heart of the Scottish Borders with views over the magnificent River Tweed towards the beautiful Cheviot Hills. This is the ideal relaxing location and an excellent touring base to enjoy the borders or as a comfortable and homely base for a fishing, golf or walking trip. Calico House Coldstream is the perfect stop off venue if you are visiting Scotland by car, being on the A697 main Morpeth to Edinburgh road and is a gateway to the whole of Scotland. If you are intending to visit it would be advisable to book early, as rooms in Coldstream are often in short supply. Please call 01890 885 870 or email for more details. Families, fishermen, golfers, walkers, cyclists and bikers welcome.